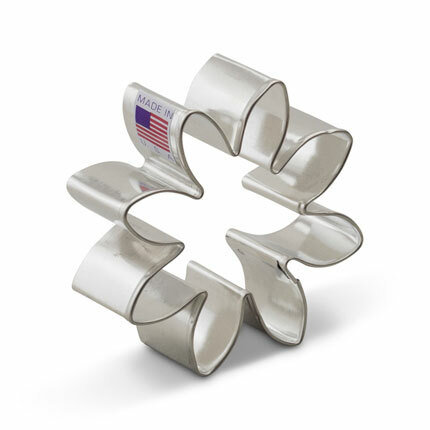 Ann Clark is a small, yet leading, cookie cutter company that makes 100% ‘Made in USA’ products based out of Rutland, Vermont. Aside from the obvious – cookies, crackers, finger sandwiches – cookie cutters can also be utilized to make dog treats, cute hostess gifts (think: tied to a bottle of wine, alongside a jar of cookie mix, or in a gift basket), homemade soap, popsicles, and so much more. And the best part? Ann Clark has over 500 shapes to choose from, allowing everyone to make the perfect homemade item for any occasion. 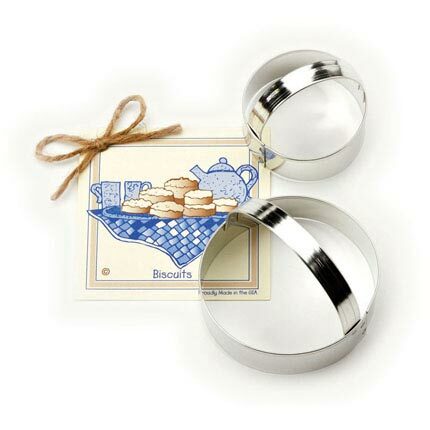 The 3 1/2" and 2 1/2" Ann Clark Biscuit Cutter Set / Circle Cookie Cutter Set is meant for much more. If an item is circle-shaped, then you could certainly use either of these cookie cutters to cut the dough- then decorate to your heart's content to make coins, smiley faces, sports balls, and so on. Made in the USA. 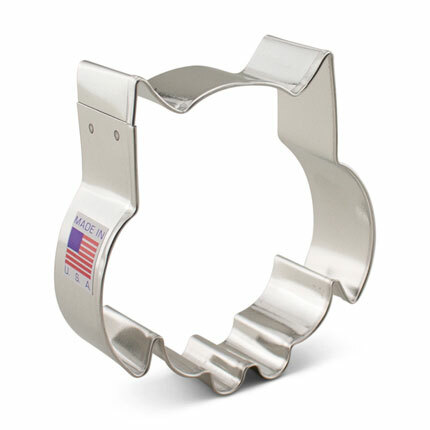 Hooo could resist Ann Clark's 3 1/4" Cute Owl Cookie Cutter? This nocturnal creature makes an adorable owl cookies that can be used for a baby shower, an after-school project, or endless craft projects. Made in the USA. 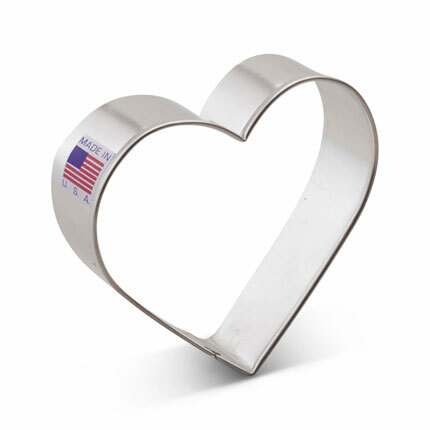 Celebrate eternal love with our 3 3/8" Heart Cookie Cutter. Use for heart shape biscuits and other Valentine's Day food (including our favorite - Valentine's Day cookies) or for lovely wedding cookies, favors or crafts. Made in the USA. Daisy, daisy, give me your answer do! 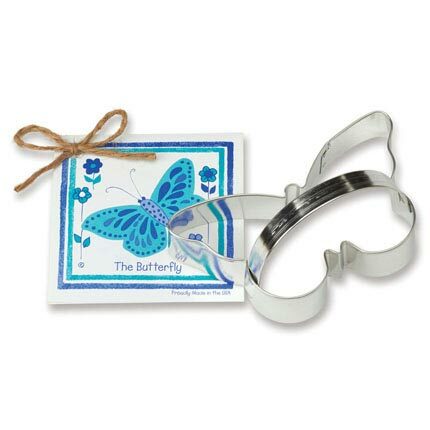 Daisy Cookie Cutter, 3", reminds us of Springtime and the longer days to come. Make a cookie bouquet for a bridal shower, or use it to trace flower-themed designs. Flower power! 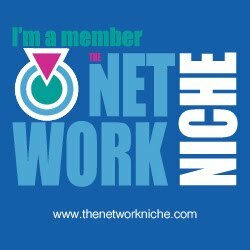 Calling all dinosaur lovers! 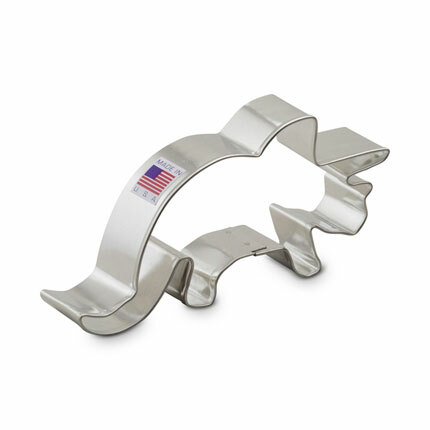 Try the Triceratops Cookie Cutter, 5", for cut-out cookies and crafts. This is a fun shape for kids and adults alike, and will be a welcome addition to a dinosaur collection. 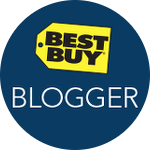 Cassandra's Review - The high quality and thickness of the cutters was very impressive. They hold strong and make accurate cuts without me having to rip the dough off of them. Each are very simple to clean as well as dry. They were all different sizes but do not use a ton of ingredients to create perfect treats. My family was thrilled with the shapes. I think the added recipe card is a nice touch and look forward to trying out the recipes. Each card was tied with twine to the cutter and make a great gift. These are definitely not the flimsy plastic, junky cutters that my family usually has. I noticed that you can make a ton of other crafts with these including using them to trace on paper, so I was able to make cards and bake cookies to match them.